The first time I ever heard of Marsa Alam was from a marine biologist who worked at the hotel where I was staying in the Maldives. When discussing about diving, she told me this place is still unspoiled in Egypt, and that its coral reefs are amazing, not to mention the marine life diversity found there. Since then, I put Marsa Alam on my list of must dive places, and in this month of November I spent 10 days enjoying what this place in the middle of nowhere has to offer. Marsa Alam is a remote location in Egypt, but this has been changing in the past few years since its International Airport was built in 2001. Located 735 Km from the capital of the country, Cairo, and having Hurghada (284 Km) and Luxor (237 Km) as the closest big cities, Marsa Alam lies between the Red Sea and the desert. A quiet place to relax on paradisiac beaches, to do amazing diving and snorkeling, daily boat trips, be pampered on a spa, and to catch one of the famous Liveaboards/Safaris boats. In addition to all of that, it is a sunny all-year-long-place and a cheap destination, especially for Europeans. 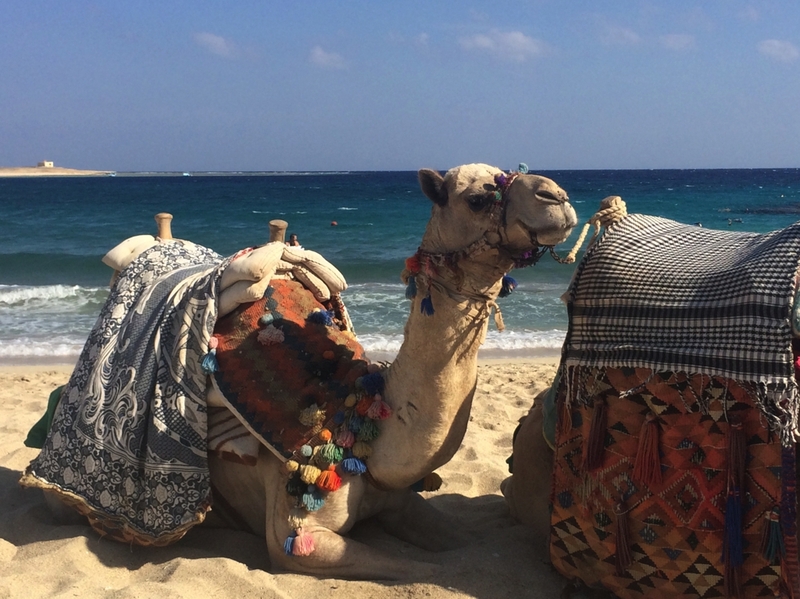 Before you ask, no, there are no pyramids in Marsa Alam, but yes, there are camels – often seen on the beach and being transported on trucks on the highways. Throughout the coast of Marsa Alam, there are several resorts where you can choose upon, though the most common place to stay is in the Port Ghalib area, where there are restaurants, supermarkets, hospital, and of course, the port. The hotels far from the port are mostly on even more remote areas, and in order to catch a diving boat, you will need a transfer provided by your diving center, which will take you to Port Ghalib; some are as far as 1 hour by car, or even more. Marsa Alam is a real paradise for families, couples, divers and snorkelers, the water is clear and turquoise, with healthy corals and amazing marine life, where liofishes, schoolers, moray eels, eagle rays, dolphins, the rare dugongs, turtles and sharks can be spotted. However, this paradise needs to be taken care of in order to preserve its beauty, I honestly was very disappointed after seeing so much waste in the area; while diving I collected plastic bags and bottles underwater. It would probably be a great idea to bring awareness to the local population and tourists, and maybe implement a Project Aware in the Red Sea, before this problem becomes more serious. I would gladly take part on that! Official Language: Arabic. However, the majority speaks English and German, and sometimes even Italian. 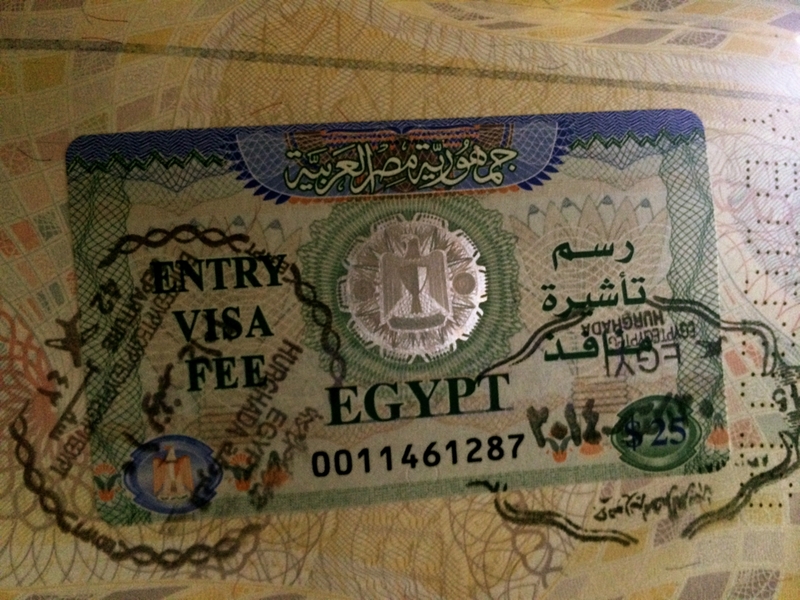 Official Currency: Egyptian Pounds, but Dollars and Euros are very welcome. Visa: for Visa requirements for your nationality, you can find here. Me being a Brazilian and W a German citizen, we got our Visa at the arrival, for 25 dollars, no need to apply for one in advance. If this is your case, as soon as you arrive in Egypt, you will have to take the line to buy your Visa, then the immigration line, where they will stamp your Visa. I must say that this was all new to me, the system is kind of disorganized, and how can I say… funny? No, maybe it’s better to say… different. 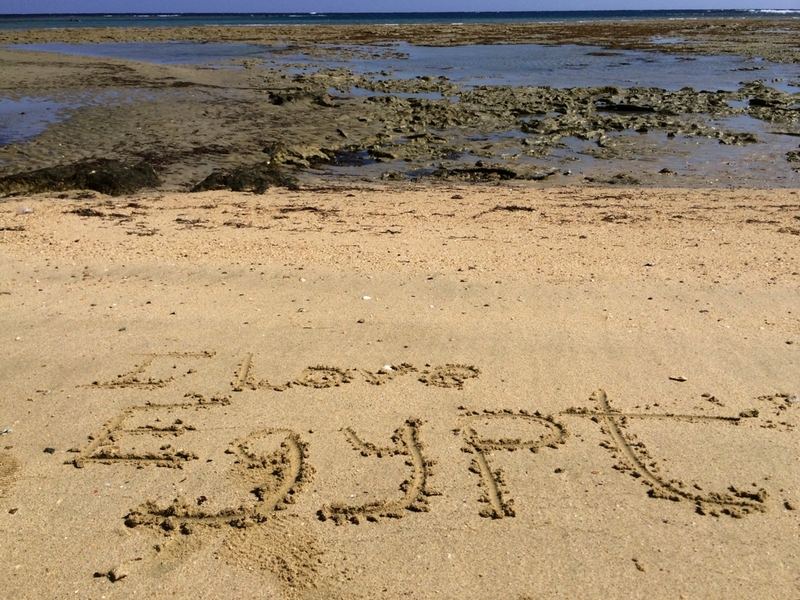 Security: even with the current political problem in Egypt, Marsa Alam doesn’t pose any threat to your security related to protests and/or terrorism. I decided to fly from Munich to Hurghada as it was a direct flight of 4 hours and a half. So far, there are no direct flights from Munich to Marsa Alam, and a connecting flight would take mostly the entire day! After arriving in Hurghada we had a transfer arranged by our diving center waiting for us. We drove a little more than 2 hours, and I must warn you that the Egyptian drivers have a peculiar system to drive, not my favorite though. We arrived well at the hotel! After months deciding where we wanted to stay, changing our minds all the time, we chose the resort Marina Lodge at Port Ghalib. The price seemed really fair for an all-inclusive option and the boats of our diving center left directly from the hotel’s door. The room was spacious, clean, and quiet; the staff was very nice, one of the waiters suggested a tea that would make my sore throat get better, very much appreciated. Internet was a problem – but that is the same for all other resorts in the area – 7 dollars an hour, so of course I didn’t pay for that, instead I bought a local SIM card with a few gigs and it worked pretty well. The food was just ok, not the best I had, and most people staying there would agree with me, but it seemed to me this is common in the region. However, I wasn’t looking for luxury, especially because we spent our entire days on the sea, or better saying, underwater. Whenever you search for a diving center in Marsa Alam, you will always see Emperor Divers at the top. It also took us months to decide the diving center we would choose, but we ended up choosing Emperor Divers. They are not the cheapest, and I find that they lack a bit of that “family” atmosphere we divers normally find on smaller diving centers. However, they are very good, and have great boats, nice and friendly staff and offer a great house reef. They have a base at the hotel we stayed in and this was very practical for us, taking the boat only a few steps away from where we had breakfast. There are also other great options in Marsa Alam when it comes to diving centers, I heard many people recommending Extra Divers. Truth is, you need to know the hotel you are staying, because some of them are very far from the diving centers and from where you take the boat. I believe Marsa Alam is a must visit to all divers, mainly because of its dive sites, though it is more the kind of place where you will stay in an all-inclusive hotel basis, not really a good option for backpackers. I enjoyed very much my stay in Port Ghalib and the diving was heaven. 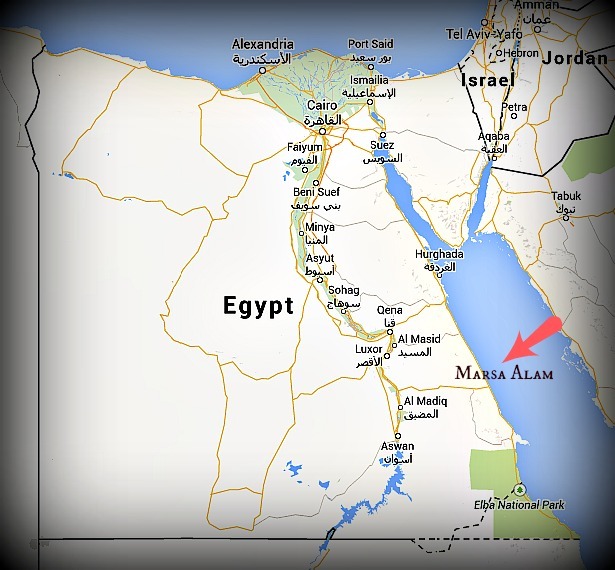 You can see how is like to dive in Marsa Alam here and it’s top dive sites here. Sounds a great place to dive in that area. Nice review. Thank you! How was the water temp there? I have heard that in the winter could be below 25 degree.. Yes, they also told be in can be under 25C, during the months of Jan and Feb apparently… though I wouldnt mind, after diving in Croatia in June, I dont think it will be worse hahaha. But the thing with Marsa Alam is the wind, that place can be veeery windy!! I hope you go sometime, the diving is amazing, I heard many people there saying that they wouldnt change the Red Sea for the Carebbean!! I just love the picture of the camel :)) so cool! Looking forward to the next post! 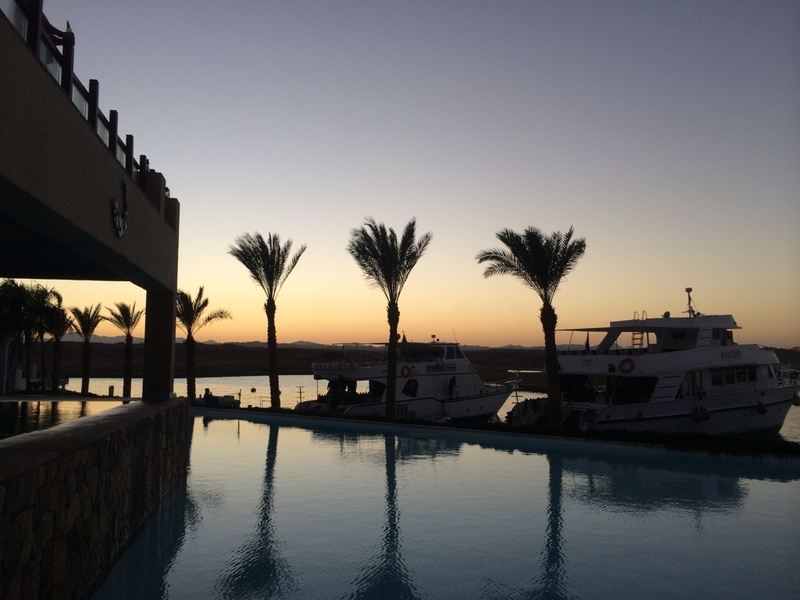 I have been thinking about going to Marsa Alam for a few years now so I’m pleased I read your post! It looks like a beautiful place, did you get any lovely shots underwater? Yes definitely go, you will love it!! I will definitely go there at some point in the future! My next destination however is hopefully Gozo! Have you ever been? Wow are you going to do technical diving? Thats awesome!! For some reason I cannot click “like”! Anyways, just wanted to say that you had another great holiday it seems 🙂 More underwater photos to come? Oh no, really? Sometimes wordpress is a bit slow and it takes a while until the like button appears, kind of weird! I know, I thought it was only with me… I guess they must be doing something new!! Really, you too? I sometimes see that I have x-number of views, and then the next moment the number decreases… Do you have the same prob? Yess!! Same with me regarding the number of views!!! And also sometimes it says that I am not following someone, which Im sure I am because I comment on this blog very often… kind of weird, so I have to follow again! Some weird small things going on! Sounds similar!! Hopefully they sort things out soon, whatever they are doing…. True, that is what I hope too! Very interesting! I will have to add this place to my wish list for the future! When we were in Galapagos, in a hostel, they made a boobie with the towels as well and that was so cute ! It looks SO awesome, I love the picture with the camels, haha 😀 But what I am most interested in is seeing your beautiful diving shots! 😀 Quick question: what can you do in Marsa Alam if you are not a diver? Amazing picture, must have been a great experience, seems so many things to do but time the challenge…loved the place, added to my travel agenda!!! Thank you dear Nihar, Im happy that you like it…there is more coming up this week! Looking forward to your next place… bon voyage!!! The thing made out of blanket is a camel hahaha… one of the days they made our room and when we arrived he was there! 😀 pretty funny! Do you have coconut water in Australia? Here in Germany there is, but in packages… and once in a while there are some coconuts to sell at the supermarket, but they seem to be very dry haha so I never bought one to try! Sadly a lot of the coconut water is packaged in Australia too. Fresh coconuts are accessible too but so expensive and I don’t buy them. What a beautiful place, enjoy! Yes, diving is a passion, but I know that it’s had for many people. My mom is also scared about it. About the environment, I am very worried about it and always cared a lot, so it makes me sad when I see such a beautiful place not being taken care of! Yes it is! If everyone cared things would be very different. It’s very sad that not everyone cares like we do. Hi Megan! I have also been to Sharm and I found Marsa Alam way better. Maybe next time you can try there, it’s very different than Sharm, quieter mostly, and less touristy. This year I went to Sharm and dived in Ras Mohammend and it was amazing! And in Marsa Alam isn’t even that bad compared to other towns in Egypt. It’s a shame. Yes, it’s pretty sad 🙁 I also do hope people start to care more before it’s too late!! Hi Sarah!! Yes it is pretty sad! Oh really? That’s so cool! I am sure your kids would love spending some time exploring Egypt 😀 I still want to visit the cities, like Cairo and Luxor one day. And thank you, I’m happy to know that you liked the photos!